Fishhh! restaurant in Barcelona’s L’Illa Diagonal shopping mall serves a first-rate seafood feast that belies its unoceanic location. A city shopping centre probably isn’t the first place you think of when you’re in the mood for seafood. Especially in Spain, where restaurants in retail locations range from truly terrible to merely mediocre. L’Illa Diagonal in Barcelona bucks the trend with an upmarket food court that’s more than just a last resort for hungry shopaholics. There are the usual junk-food giants dotted around the place if you fancy a defrosted burger but there are also some interesting food and wine shops. The restaurant that led the charge toward quality here is Fishhh!, founded in 2006 by Lluís de Buen y Maldonado. At lunchtimes, there’s no getting away from the fact that you’re in a busy shopping mall. Fishhh!’s all-white space is clean, fresh and appealing but it’s in a crowded corner of the food court. Get there early if you want a seat, or come in the evening when the atmosphere is calmer. Lluís is the son of one Barcelona’s best-known seafood-supply families, which owns the Marisc Genaro stall in the Boqueria market. He is also the husband of entrepreneur Annette Abstoss, founder of Abstoss World Gastronomy, a company that organizes gastronomic experiences for industry professionals. I was having lunch with Annette, and as a result was treated to a feast of everything Fishhh! does best. The house speciality is Fishhh!’s own French Marennes-Olerón oysters, named “Louis” after the owner – in an appropriately Frenchified manner. They range from €2.50 to €4 each and there are happy hour-style offers. They’re also served Boston-style, fried in tempura batter, in a fun manner that plays with the moon-rock look of the oysters (€14.80). Fishhh!!! offers lots of dishes made table-side, such as the Russian ‘chatka’ king crab (€39 for a full leg, €21 for half), which was one of the standouts of the meal. Beluga caviar (off menu: if you have to ask the price then you – like me – can’t afford it). An exquisite indulgence. And there was more. Much more. Marinated salmon, sea urchins, prawns, calamari, anchovies, crunchy deep-fried seaweed, deep-fried prawn ‘lollipops’… The bill would have been monstrous, but I was an invitee on this occasion. That said, you can eat at Fishhh! on most budgets. It’s a top spot to get a beer and a few mussels (€7.50), or a €12 ‘mix fried’ while you rest between bouts of retail therapy. Alternatively, you can push the (fishing) boat out and spend several hundred euros. Would you want to spend that much to eat in a mall? Plenty of people do: Fishhh! is frequently full. I prefer less public dining spaces but there can be no argument about the produce, which is first-class, or its preparation. If you want to eat well while you – or your significant other – hits the shops, Fishhh! is the undisputed champ of Barcelona’s retail space eateries. Find Fishhh! 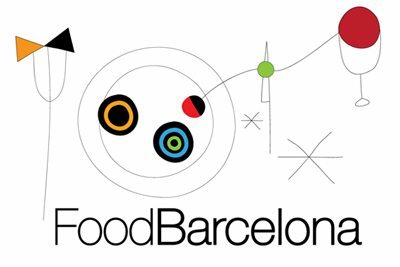 on the FoodBarcelona map.